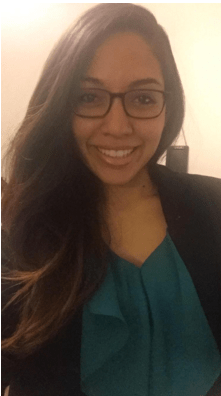 New York, NY (06/02/15)- The National Board of Directors of Chi Upsilon Sigma National Latin Sorority Inc. is happy to announce the recent appointment of Rebecca Santiago as the new National Philanthropy Chair. She will be working with representatives from the "I Have a Dream" Foundation in order to strengthen this partnership. Rebecca became a sister at Chi Chapter in the spring of 2014. She recently graduated with a Bachelors degree in Psychology and hopes to pursue medical school in the future. During her time as an undergrad she served as the chapter’s Vice President, Secretary, and THON Chair (a philanthropic position). She is enthusiastic to serve as the new National Philanthropy Chair and looks forward to bringing about increased awareness and fundraising opportunities for the I Have A Dream Foundation. With this role she hopes to see continued growth within both organizations in order to provide new and unique opportunities for students hoping to pursue their academic dreams. She looks forward to working with all chapters to ensure that CUS contributes to the I Have a Dream Foundation within as many areas as possible.